One of the very few native plants with a “high” nitrogen fixing ratio! 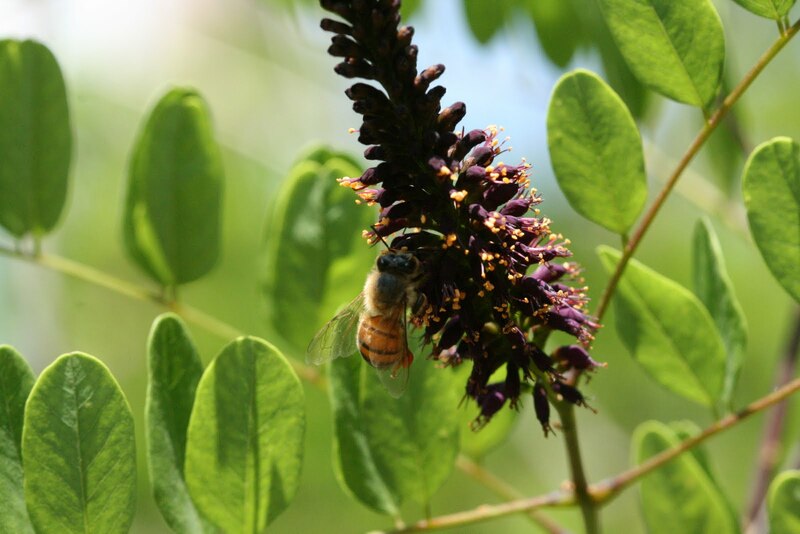 Indigo Bush is an easy cutback shrub that can grow 6′-10′ tall and bees and butterflies are attracted to its vibrant purple flowers off and on from April to June. 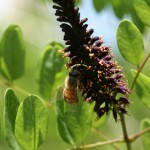 False Indigo is very tough and tolerant of a wide variety of conditions; it is a pioneer or early successional plant, sprouting up in the understory early . 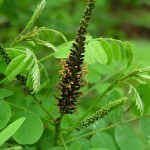 It has small compound leaves and is topped in early summer by dense clusters of purple flowers that are 2’-3’ long. We grow it enthusiastically because we have learned from our friend Eric Toensmeier that it is one of the very best of the legumes as a nitrogen fixer. 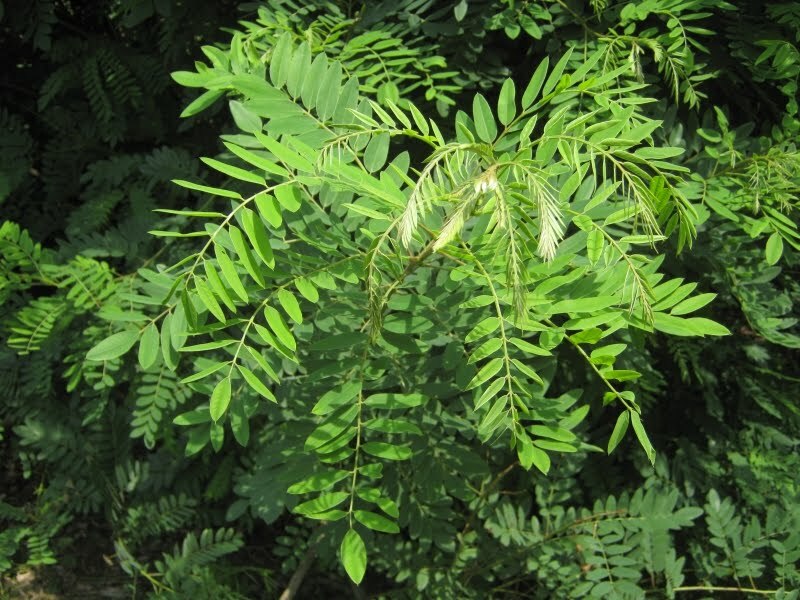 In other words it fixes a LOT more nitrogen than other of its relatives and may be most helpful in supporting the growth of fruit and nut trees in symbiotic plantings or “guilds”. 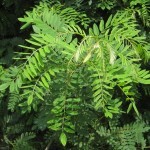 They naturally occur over the eastern ½ of the US and are hardy as nails and can tolerate occasional inundation. Can and usually should be cut back 1-2 times per season to rapidly build fertility naturally. 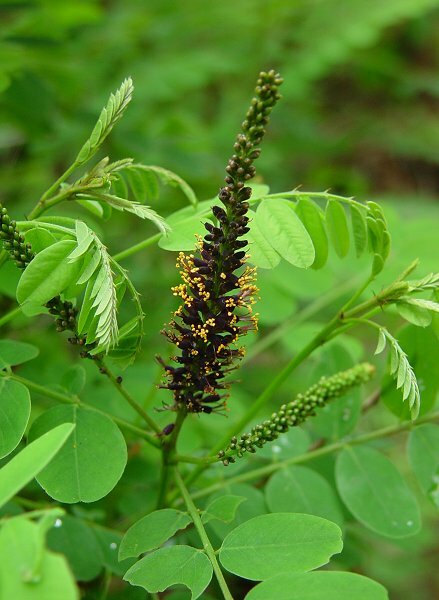 A great plant for a new food forest or garden area, Amorpha will help you build soil and add beauty to your garden.